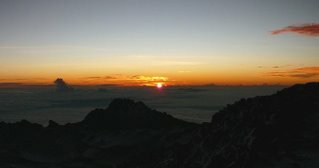 This is the account of our 5-day trek to the highest point in Africa - Mt. Kilimanjaro, Tanzania. For many years I’ve thought about climbing Mt. Kilimanjaro. 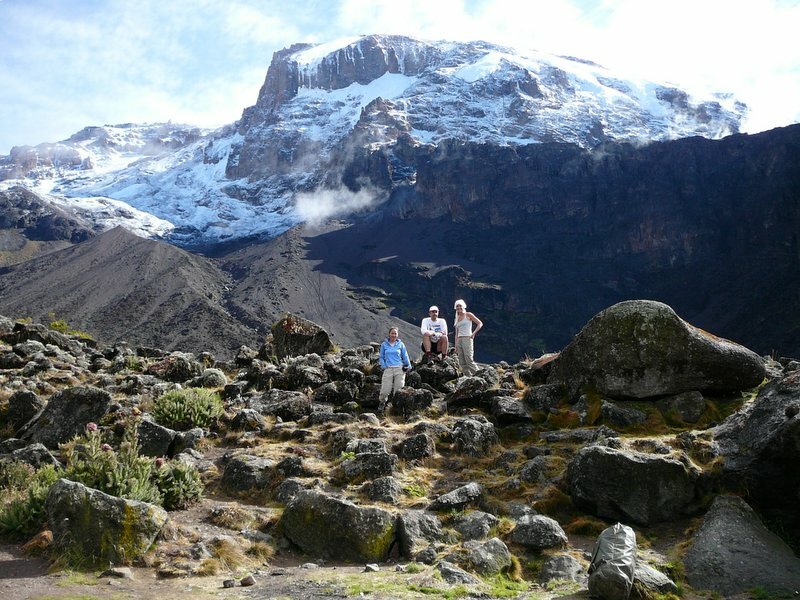 The name sort of conjures up exotic images – some blend of high altitude mountaineering and the African bush. Living in the US, I thought I might do it at some point but the time and cost had kept it prohibitive. To be honest, it was one of the draws to my move to Tanzania. Of course I had a number of other professional and personal reasons for coming here, but I confess that the thrill of adventure normally tips the scale involving my career decisions. Having said that, I don’t think my desire for adventure gets in the way of career. On the contrary, I tend to think an active private life can make people better at their jobs. Most people I know who are successful in their careers are not workaholics. They’re people who live life to the fullest whether at work or play. 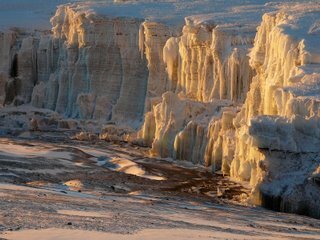 Prior to coming to Tanzania I had previously done very little exploration on the continent. I had done some volunteer work in the Côte d’Ivoire many years ago but I was low on funds at the time and spent most of my time working and just getting used to being on the continent. This time, however, has been different. I pretty much hit the ground running as you can see in my 2005 and 2006 blogs. It’s been a helpful release given the stressful work environment. 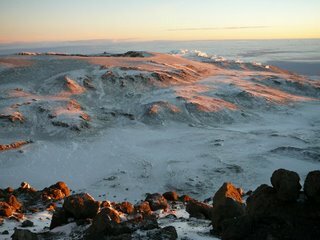 So I launched the idea of climbing Kili to family and friends. There was considerable interest in the beginning but little real commitment as time wore on. The larger group of 8 to 10 dwindled until there were 5. The reduction turned out to be a positive thing given the demands of the climb and the fact that you really want a team that’s fit and committed. Small, lean and no whiners. Climbing Mt. Meru a few months ago (see 2006 Travel blog link above), was different. 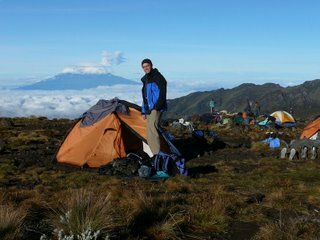 Not summitting the second highest mountain in Tanzania really isn’t that big of a deal and it’s much easier to let that go. Yes, I would have preferred to tag the top but the weather that turned us around didn’t really take away from the fun of the adventure. 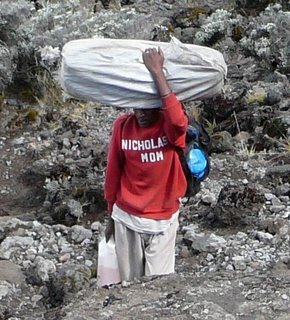 Not summitting the tallest mountain in Africa, however, would seem to provide an additional sense of failure, especially for a goal-oriented guy. So this team was similar to that of the Meru climb. Priya and Jenn were steady, strong and fun during that climb and I of course wanted them along for this one. Jenn was leaving the country for a job in New York a day from our scheduled descent so this would be her last hurrah in Tanzania. She’d already said her good-byes before heading to Arusha so this was pretty much it for her. The fourth member would be my brother Curtis. He and I are no strangers to mountaineering and have spent many days hiking together in the western US. He’s particularly fit these days from lots of trail running and racing this past summer and fall. I figured he’d be our strongest link and I turned out to be right. The fifth hiker would be Mejah, a Tanzanian who helped me organize both this and the subsequent safari. He sort of evolved to become a regular member of the team though he has been my guide on a number of other adventures in the country. 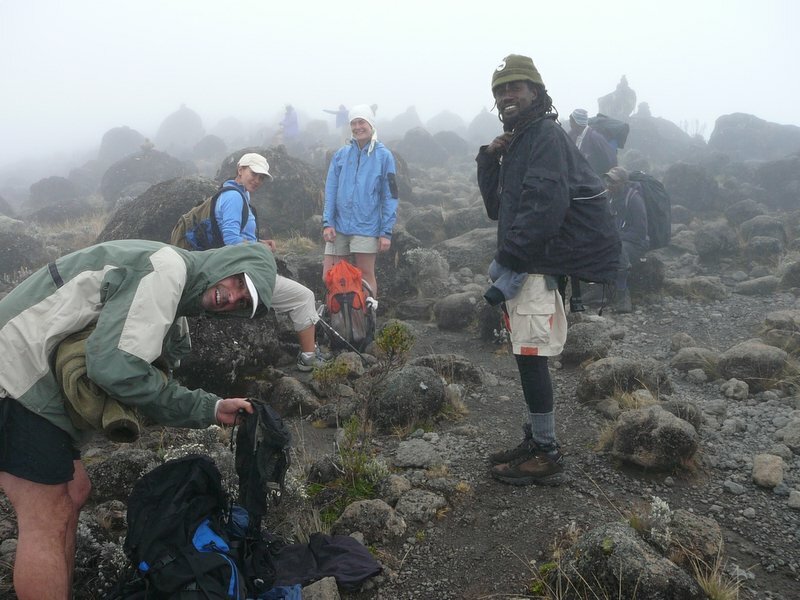 He grew up near Moshi, at the base of Kilimanjaro, but he’d never actually been on the mountain. He was as excited as we were to finally take a stab at it. 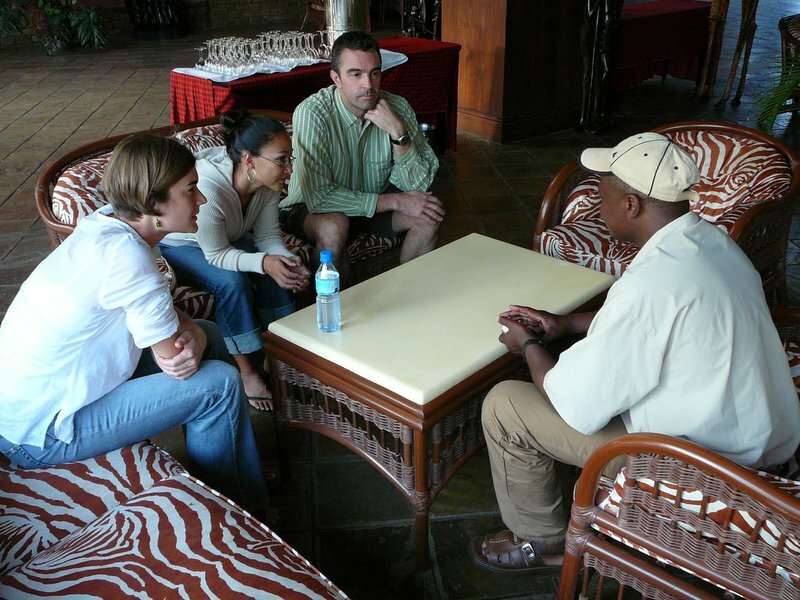 We stayed at the deluxe Ngurdoto Lodge outside of Arusha the night before the climb and were briefed there by Julien, one of the climb organizers. There was nothing really new in the briefing given that we’d read and talked about this thing for weeks. I really just wanted to go to bed and get the hike underway the next morning. We drove an hour and a half to the trailhead at the Machame Gate. 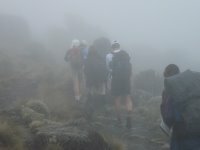 There were about three other groups assembling there and, given the structured way that Kili must be climbed, we’d proceed to see them over and over again over the next few days. We had about three porters a piece to carry all the food we needed, tents, bags, etc. We also had a cook, assistant cook, a guide and an assistant guide. Nothing and no one was wasted. I has thought it may be a bit excessive but it turned out that we needed all we had. The porters traditionally take off well ahead of the hikers. I’d seen this before on Meru. 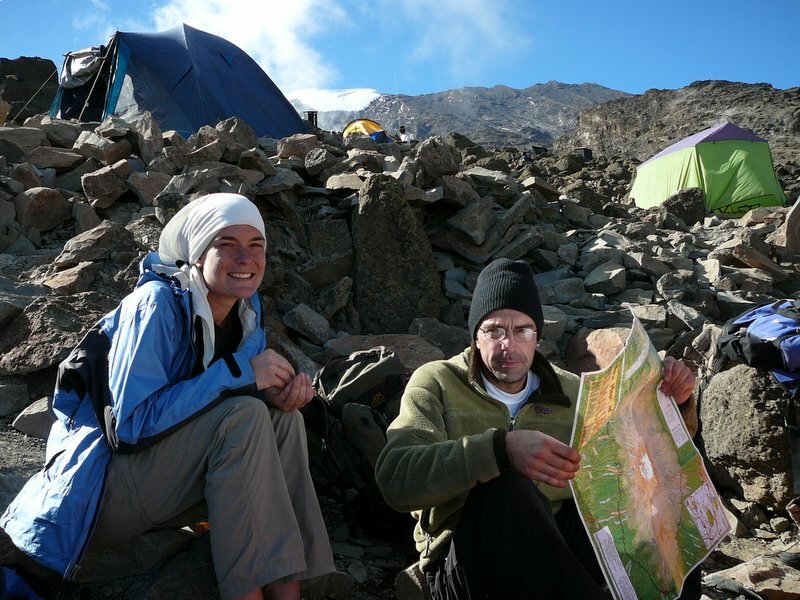 Not only are they faster climbers, their job is to set up camp in advance of our arrival, begin preparing chai (tea), and so forth. So we set off with our guide, Florence (a helluva lot tougher than the name would suggest), and the assistant guide Benjamin. Probably the most important thing in climbing Kili behind proper food and clothing is to have a good guide. These guys turned out to be very cool and skilled at their jobs. The seven of us meandered up the rainforest trail taking our own sweet time. I think it was an adjustment for all of us to go so slow. You’re in no hurry since you really don’t have that far to go each day (except Day 5) and you need to acclimatize slowly. The Swahili “pole pole” became the usual caution. For the most part we complied. 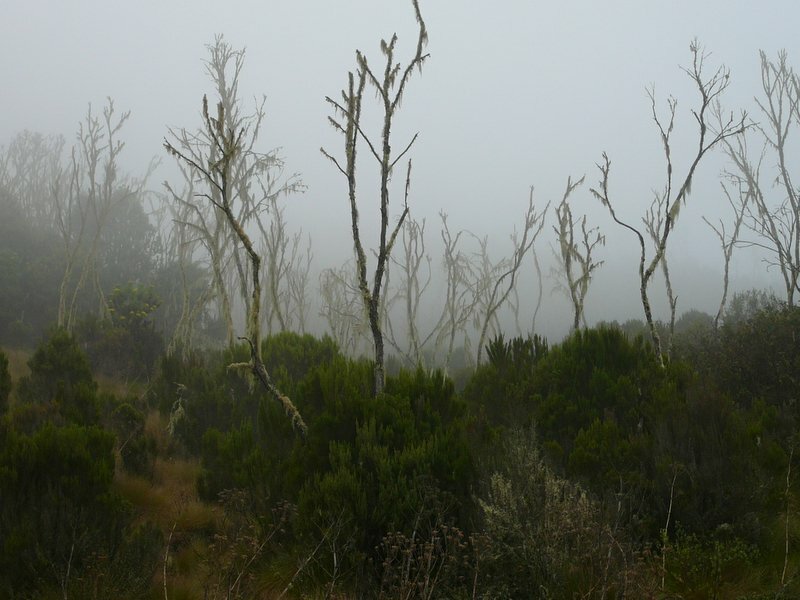 The Machame Camp at the end of day one lies at the upper reaches of the rainforest into what is called “heather”. It’s basically a band around the mountain of thinning forest as our ascent up the mountain gradually turns to the third climate zone called “moorland”. The heather area contains a lot of small trees and shrubs providing a bit better visibility than we had in the rainforest. The camp was set on a perch offering views of Mt. 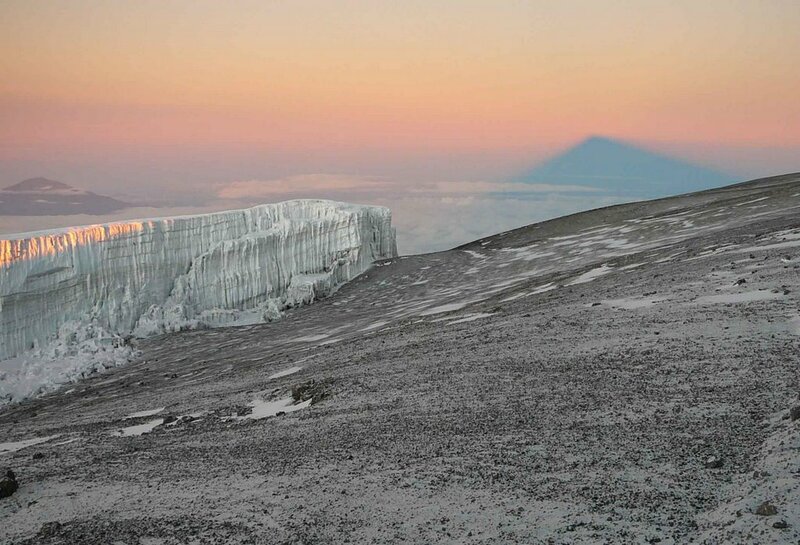 Meru, the Shira Ridge (the western side of Kili) and Kibo itself, home of Kilimanjaro’s summit. We settled into our tents and then moved to the mess tent to have a snack. The air was cool and rains were intermittent but nothing threatening. It was around this time that Curtis made it known that he was having camera problems. Without going into details as to the nature of the problem, it was a serious blow to the once-in-a-lifetime experience. Yes, we all had cameras to back him up but for someone who's had decades of interest in photography AND being in an amazing setting to which he'll likely never return, it was a slug in the stomach. Considering the situation, we were unanimously impressed with the coolness in which he handled it. Alas, we sort of gave up on trying to figure out a solution, had dinner and retired for the night. The next morning we had breakfast of coffee/tea, porridge, toast, eggs, etc. and then broke camp. 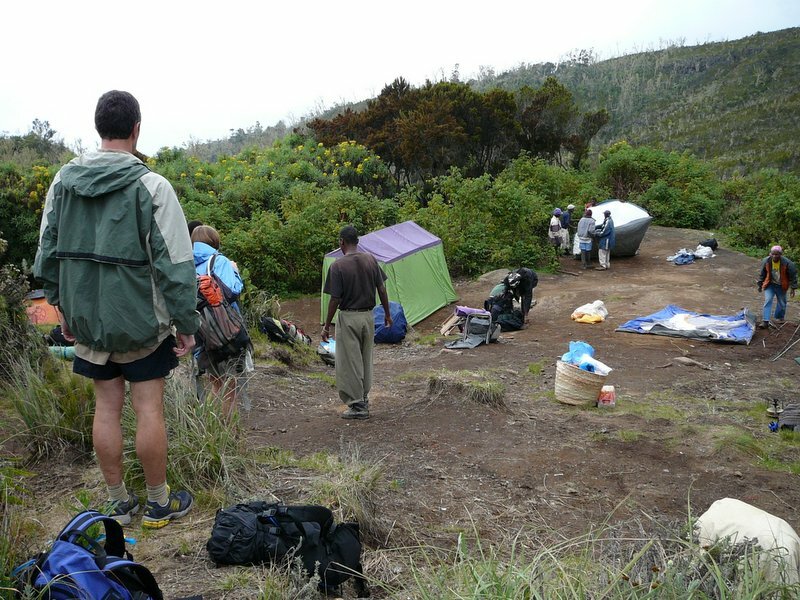 We prepared our porters’ bags so that the boys could take off and then enjoyed the luxury of allowing other porters to break down our tents. So was our routine every morning. The trail worked its way into the moorland, the low brush that starts to look more like desert, and began to see interesting vegetation unique to Kilimanjaro. I’ll avoid the details of the flora or this will really get long but suffice to say it is very pretty when you have sunlight. Unfortunately ours didn’t last long. As we followed the ridge above the camp the sun disappeared and a light sprinkle began. It seemed harmless but we all stopped to cover ourselves in rain gear. It was time to reveal my secret weapon against the rain – my Vidal Sassoon hair cutting poncho which I received in a hair clipper set I bought last summer. Mock if you will. It turned out to be very handy. The longer we walked, however, the wetter conditions became. Soon it was full on rain. After a while we came upon our proposed lunch spot as it was pouring down on us and the temperature continued to drop. We huddled under a rock overhang and ate our snacks of hard boiled eggs, white bread sandwiches, smashed bananas and some sort of sugar water drink. Another group was using the choice spot under the rock once they finally ventured out into the rain, we slid into their void. We finally decided it wasn’t going to break and we headed out not too long afterwards. Walking was actually a blessing as my appendages began to warm a bit. We had no views, soaked feet and slippery rocks to keep us focused. After a couple more hours we arrived in Shira Camp. It was somewhat of a welcome site though the porters hadn’t arrived much before we did, quite possibly due to the hazards and trickiness of hiking across slick rocks. As we approached the campsite, they were still preparing the tents. Everyone’s bag had arrived but mine. I hadn’t kept track of the porter carrying my bag but I had assumed that he had already arrived. Unfortunately, I stood in the rain as the rest of the gang was diving into tents to remove the cold, wet clothing. Streams had formed near where the tents had been built and porters were digging canals to divert water away. The chaos of making camp was tempered by the realization that we were done for the day. In the distance I saw a porter arriving in the mist with a large bag on his head. I assumed it was mine and gave him a gracious smile when at last he arrived and set it down in front of me. He was far more soaked than I was. His bare feet could be seen through the holes in his shoes. I was on an epic adventure and going to slip into dry clothes. He was off to build more tents in the tempest. Maybe he would have time to ponder what he would do with the $5/day that he was earning carrying my heavy pack on his head all day in that cold rain. The next morning we were blessed with mostly clear skies. 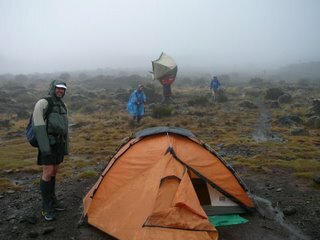 It was still cold and a bit misty but a glance out the tent flap exposed the majestic Kibo that we failed to see all day the day before. Meru was on the opposite side of us poking through the clouds that covered the valley in between. 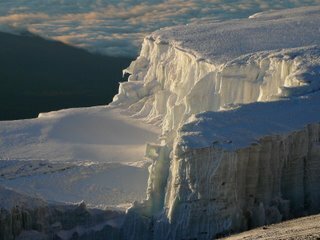 I fired off a couple of photos as the sun peeked over Kibo’s freshly covered, powdery white rocky dome and set out to assemble all of my wet gear. Before long we were all up and covering every bare rock with our wet clothing. The plan was to delay our departure for a couple of hours until the sun did its thing. It was crucial at this point not to go any further with wet clothing. 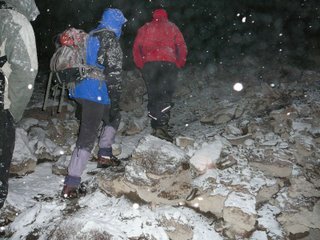 We were all beginning to calculate what we would wear and when, saving dry gear at all cost for summit morning. Once all the stuff had dried, we packed up, made ample use of Jenn’s plastic bags to protect our belongings and headed towards the trail. It wasn’t long, however, before our sun faded again and we were in mist. We were more prepared than the day before though the day would present much less rain. After a couple of hours we worked our way up to a turn off to a cut-off route that would shave some altitude and an hour’s worth of time. Going up further would likely assist us in our acclimitization. Taking the cut-off would get us to our next camp faster. Priya had been showing a few signs of sickness and with the uncertain weather, we opted for the shorter route (bypassing Lava Tower). It was a good thing as Priya’s condition gradually deteriorated. Within an hour of our lunch break she began to vomit. We rested a while hoping it would pass but soon after moving on she became sick again. It continued 8 or 9 times from then until Barranco Camp. Most of the group continued on as Florence, Mejah and I stayed with her. It was a torturous descent into camp as Priya scrambled to keep her feet (and her footing). One foot after the other she plugged away as she continued to get worse and worse. When we finally arrived in camp she staggered to the tent and climbed into her sleeping bag. She was almost immediately asleep. During the evening and night it became clear that she would not be able to continue on with us. In fact, there was concern as to how she was even going to get down off the mountain. From Barranco Camp there were two options. 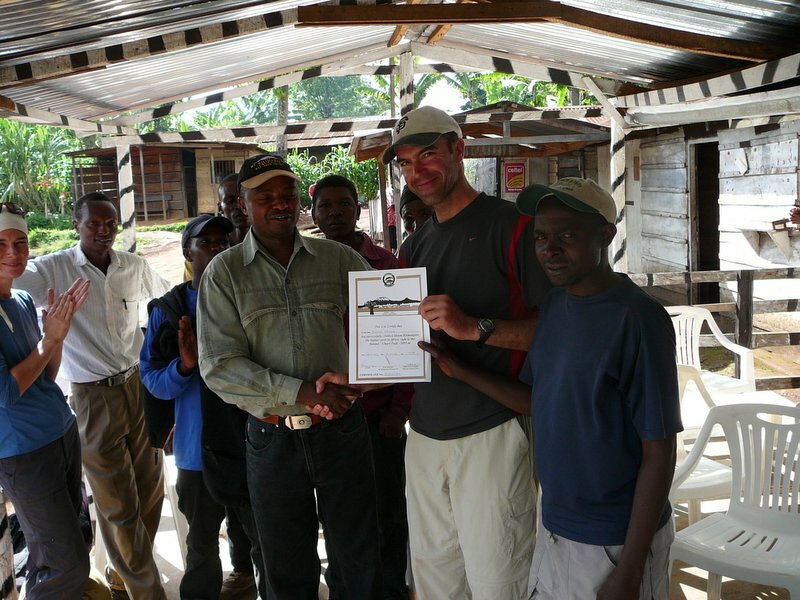 One was head straight down Umbwe trail – a steep, difficult 7-8 hour trek to the trail head. The other was to leave with us along the Southern Circuit as we headed towards our next camp but then cut off on the Mweka trail and head down to the Mweka Gate. The latter would be an even longer day of at least 9-10 hours and include some uphill requiring more exertion and probably more sickness if she really was suffering from the effects of altitude. It was clear that Priya would take the Umbwe trail down. It turned out to be a long, grueling day with little hydration and food in her system but she was able to get to the bottom safely. Mejah, Benjamin and three porters (one sick porter from another group) accompanied her and ended up having an interesting day. She has a good notes on it that I will link to should she decided to blog it. The agreement, well in advance of the trip, was that if one of us were unable to continue that the other should continue on. Well, here we were. I did struggle with the idea of her going down without me, largely because I still wasn’t convinced she was in good health though she did seem much better. For her there was no discussion, however; I would continue with the others and she would be in good hands. It was terribly sad for both of us to come to the realization that she wouldn’t summit, at least not on this trip. We’d been planning it for so long and, though it clearly meant a lot to me, I could feel it meant a lot to her as well. 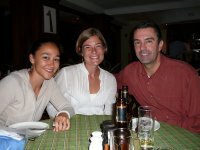 Nonetheless, after a sad farewell Curtis, Jenn and I headed straight up the side of the mountain on our way to Barafu Camp. 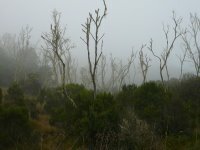 It was an off and on day of beautiful scenery, viewless mist, sunny weather and rain. The route had significant difficulty and the longer we went, the happier I was that Priya had not come this way. We stopped in a hut for lunch and to get out of a rain storm but most of the day was just spent walking. On and on we went until finally, under bright sun, we saw a valley stretched before us with a ridge on the other side. On the top was Barafu Camp, the wooden outhouses visible from our distance. I had feared this camp after being considerably cold off and on up until now and knowing that barafu in Swahili means “ice”. However on arrival the camp turned out to be sunny and warm. The tents we set on small open spaces forming small terraces in a rockly slope overlooking Mawenzi Peak, the high, jagged mountain adjacent to Kibo. We settled into our evening routine though expedited a bit given that we had to wake up at 11:15pm. The sky was clear and we were all as optimistic as we had been the whole trip. There were some symptoms of altitude such as low-grade headaches but nothing that looked to stand in our way. Day 5 actually began late Thursday night as Florence made the mistake of waking us an hour early. As I groggily realized the mistake and brought it to his attention, he attributed the mistake to his watch being frozen. Though the temperatures were subfreezing, I doubt that a frozen watch would cause him to wake us at precisely 10:15pm and besides, as much as he does this I doubt he would have a watch that can't handle cold. I wasn't able to sleep during that extra hour now that we were awake, especially since it was during the first wake up call that I noticed we'd been snowed on during the night. 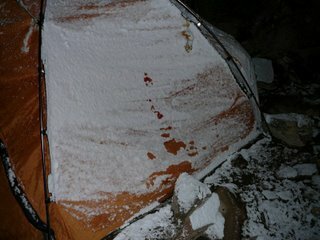 The tent flap was crusty with ice and snow as I cracked it open to talk to Florence. I was envisioning what lay ahead of us and it made me a bit uncomfortable. I put on almost every layer available to me. I wanted to keep my core temperature up so as not to waste any energy trying to stay warm. We assembled in the mess tent for a cup of tea and a biscuit. I wasn't too hungry since I normally don't eat at that hour and I was planning on taking ample snacks along the way. 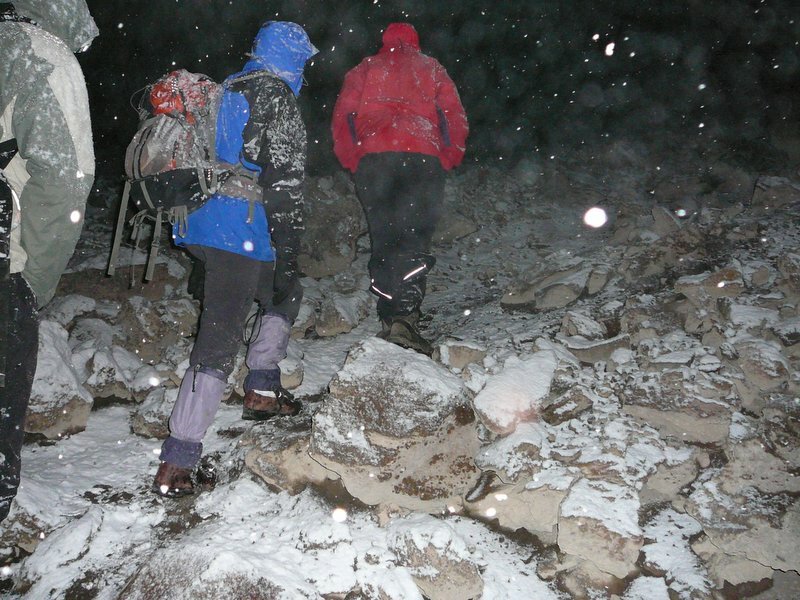 Snow was falling as we donned our headlamps and headed out on the trail. We were quickly warmed by our efforts and the hiking turned out to be actually quite comfortable. The rocks were slick in places but overall the trail was fairly easy. Gradually the skies began to clear and the nearly full moon began to make its appearance. Soon we had great views of Mawenzi Peak, a few lights on the valley floor both in Tanzania and in Kenya - the latter being by far more luminous. We entered a reasonably flat area and conversation was flowing nicely, a sign that things are good. We had all entered into our highest altitude ever which Curtis and I noted by a congratulatory handshake. We were due to climb about 5,000 feet this day and thus far we felt little of the effects of the altitude at this point. The headlamps were off as the moon provided ample lighting for our trek. We were optimistic. I had been keeping an eye on what lay ahead, however. There is a reasonably steep pitch as you get closer to Stella Point, the rim of the crater you need to reach prior to circling around toward the actual summit. It starts gradually and then gets steeper as you go. As we plodded forward, things became tougher. We eventually lost our moon and the headlamps came back on. Jenn's feet began to suffer from cold. She had to stop on more than one occasion to rub them and try inserting hand warmers. The altitude also was making its presence known. My headaches would come and go. Dizziness was my new symptom and it made me a little nervous at times. As we kept plodding our conversation became minimal. My hydration tube finally froze though I was happy it had held out as long as it had. I switched to my Nalgene bottle which was more of a pain but we had to keep drinking. After what seemed like forever, we approached the final pitch towards Stella Point. According to my watch, we had less than an hour before we would see the crater. That was the key point. 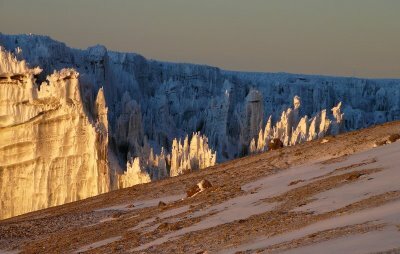 Once there we would have a 45 minute, gradual trail around the crater rim to our final destination. So we knocked out step after steep step until finally we were at the rim. 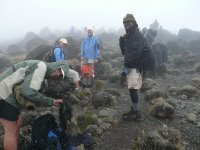 The easier Marangu Trail merged with ours at this point and we were now in the company of several groups of headlamps attached to the heads of weary hikers. We stopped briefly to rest and work on Jenn's feet. I was very happy to be where we were but the resting seemed to allow my symptoms to settle in a bit more. My dizziness was more of a problem and my low-grade headache was now medium-grade. We headed out for the home stretch and conversation picked up. 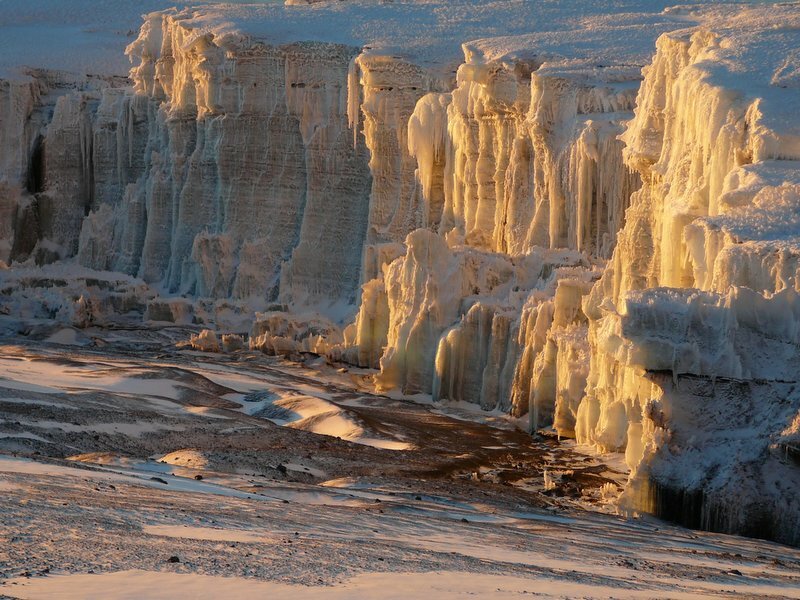 Our surroundings became increasingly beautiful as the eastern sky gradually began to glow with the approaching sun. We could now see the magnificant glaciers and the vast crater to our right. It was exciting because I knew we were going to make it. Arriving at the actual summit took longer than I thought, largely because it constantly seemed to be just around the bend. Jenn and I were doing a bit of wobbling as we walked but Curtis seemed strong. Finally, however, the famous sign appeared. The final 100 meters or so became a bit more emotional than I thought it would. We later discovered that it was the case for all of us. We were cold, tired, a bit sore and uncomfortable, had several days of drama, months of planning - all that led up to this one moment. And here we were. I touched the sign at 5:50am. The sun had yet to pop up from the horizon but the light was good enough for photos. We waited our turn as other groups fired off photo after photo. We finally took ours and then I began to turn my attention more towards the incredible scenery around me. It was the most amazing place I'd ever been. 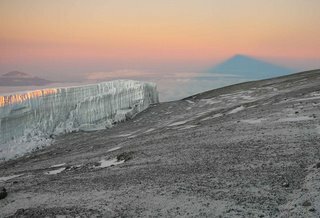 It's difficult to describe how beautiful it was with the low sun shining across the glaciers, the massive crater, the sunrise, Mawenzi Peak, the stratus clouds stretching out across the valleys and the shadow of Kili on some distant clouds. The beautiful Mt. Meru was off in the distance and I remembered looking from there back to Kili several months before thinking of when I might be standing on its summit. And here I was. It wasn't long before Florence began urging us to start heading down. I had mixed feelings about leaving but the thought of getting to warmer temperatures and lower altitude did appeal to me. I walked a few steps, fired a photo, walked a few steps, fired a photo and so it went as we worked our way back around the rim towards Stella Point. Just before Stella I called Priya on my cell phone. 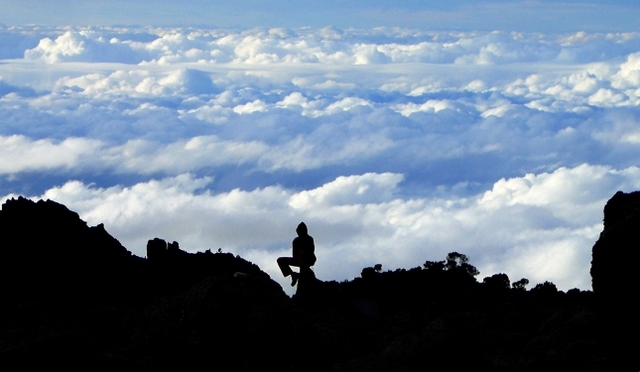 Kilimanjaro is the highest point in the world with cell service. I took advantage and called our missing hiker who was in bed down in Moshi. We had a short chat but it invaluable to communicate that we were both ok. It made me even sadder that she wasn't with us but, alas, there was nothing we could have done differently. I was still able to get a couple more good photos on the way down but for the most part the camera was now tucked away. The view was still amazing and new to us since it had been too dark on the climb for us to see much during this stretch. The pace was fast as we step-slid our way down through the soft, snowy, cinder surface. We arrived back at Barafu Camp rather fast at 7:45am. We'd had a full morning and I was tired and sleepy. We had decided that we would head all the way down today and that meant a very short break for us before beginning the next six hours of descent. It was the longest hiking day of my life: 5,000 feet of ascent combined with 18,000 feet of descent during the course of 14 hours. It's a considerable feat and my hat goes off to Jenn and Curtis for pulling it off. 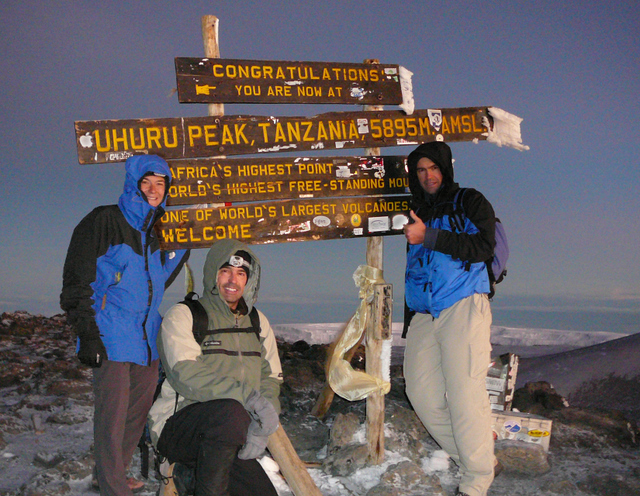 We arrived at the Mweka Gate at around 3:00pm exhausted but exhilarated. 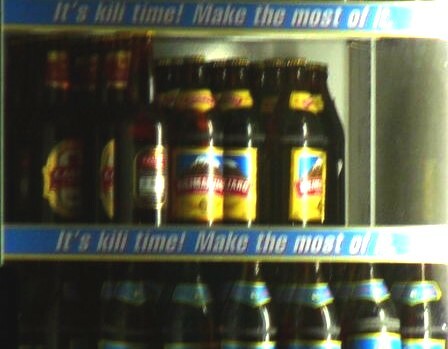 We signed in, had a celebratory Kilimanjaro beer, calculated our tips for the gang and then were transported to Mweka town for a little ceremony put on by the safari company with all the porters, guides, etc. in attendance. They announced the tips (made me wonder if we'd tipped enough), sang us a song and then we headed off to meet up with Priya and Mejah. 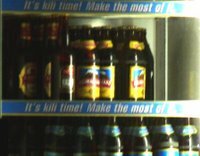 After a brief stop in Moshi we returned to the Ngurdoto Lodge for showers and drinks. I was unable to fight off a nap before heading to dinner but it did enable me to be conversational. I reviewed some of the photos before going to bed. I felt a great satisfaction for what we'd accomplished. Many people climb Kili every year. It's not the toughest mountain, not even in Africa. Nonetheless, every attempt at its summit poses unique challenges to climbers depending on the route chosen and the various conditions to which they are subjected. The rain we experienced on Day 2 was unlike anything Florence had seen in years. Priya's sickness was one of the worst he'd seen and ended up being draining for all of us. A snow storm in November is not common. 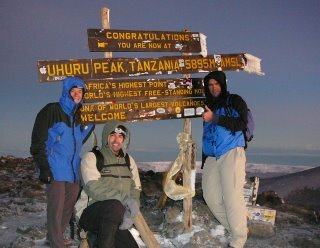 In the end, less than one in four that attempt to climb to the highest point in Africa make it to the top. Guess we beat the odds.